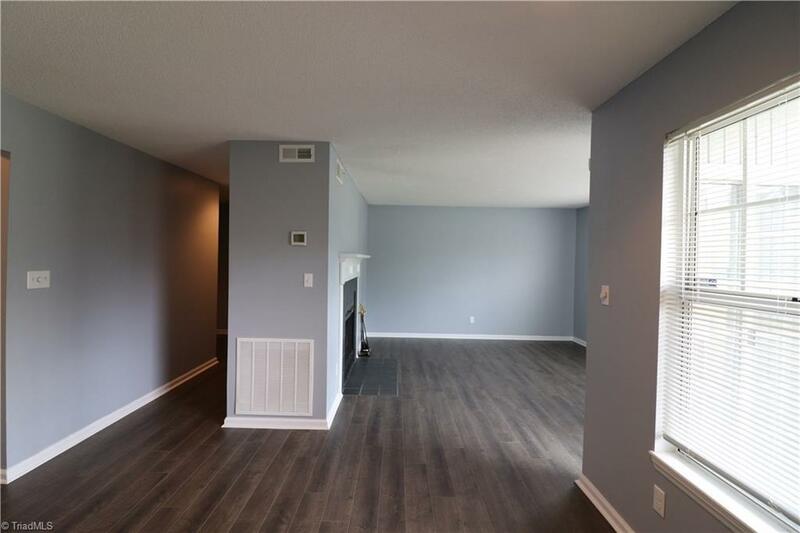 Newly updated condo in a great location! Stunning new laminates throughout. New paint throughout. Neutral colors. Tile in the bathrooms. Lots of natural light. Closet w/ built-in shelving in the entryway. Nice-sized master bedroom & bathroom. Large closet w/ built-in mirrors. Spacious closet in the 2nd bedroom. Plenty of cabinet space in the kitchen. Kitchen window overlooks the dining & living area. Beautiful fire place in the living room. Private patio. Condo has direct access to the pool area.